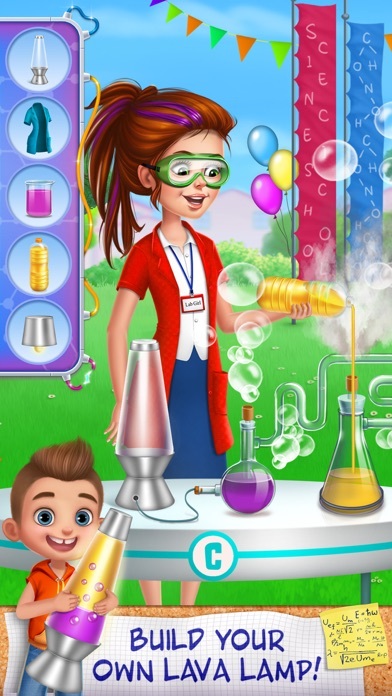 ~~> Learn how to do awesome science experiments as you try to help Cindy win the science fair competition! ~~> Jake, Cindy’s arch-enemy, won’t stop putting her down. 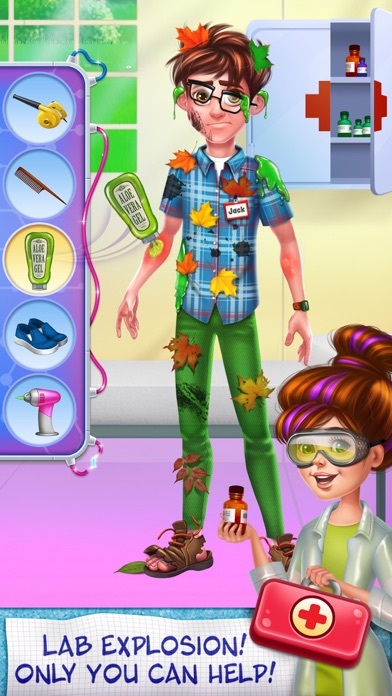 Will you be able to help Cindy overcome her obstacles and prove she’s a super scientist? 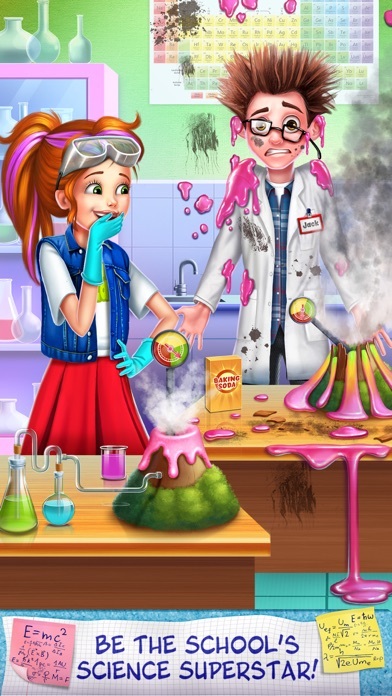 ~~> From creating dangerous lava lamps to enchanting perfumes, there’s nothing you and Cindy can’t do! Cindy, aka Super Science Girl, is determined to win this year’s science fair competition! 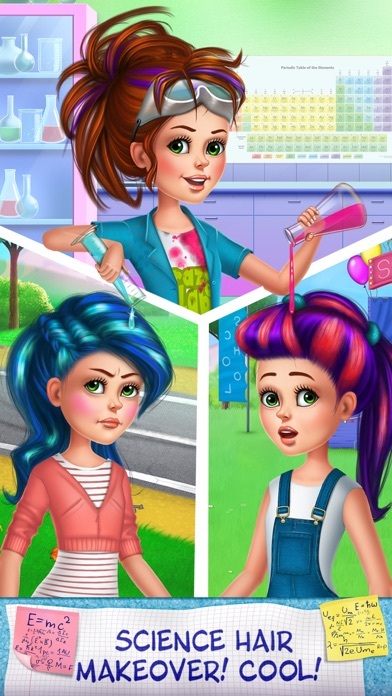 Her nemesis, Jake, is out to get her and show her that girls can’t be chemists.Cindy needs you to help prove Jake wrong, and to become the coolest chemist there is! 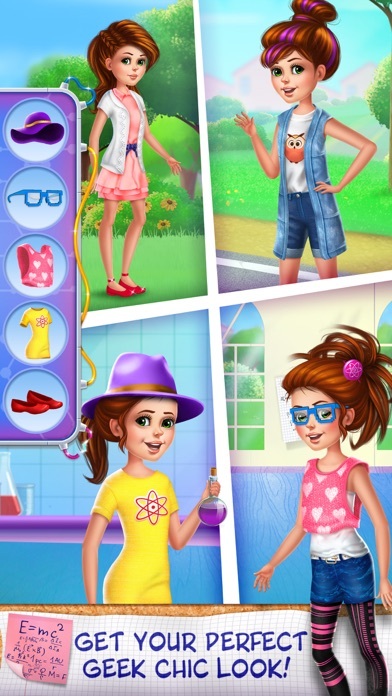 > Learn how to be a spectacular scientist as you help Cindy prepare for the science fair! > Jake, Cindy’s nemesis, says girls can’t be chemists. Help Cindy show him who’s boss! And win 1st place in the science fair! > Use real lab tools to conduct amazing experiments with Cindy & impress the judges at the fair! > The big day is here, but oh no! Cindy’s little bro Joey crashed your bike! Help Cindy treat Joey’s injuries and repair the bike quickly so she can make it to the big fair? > Knock Jake’s socks off by making glow-stick necklaces and candy bracelets! > Will you and Cindy be able win 1st prize at the fair and show Jake who’s boss?